When we first met Potap in 2012, he was only three years old. He had experienced a sad life up to that point. Following his rescue, Potap now enjoys a green enclosure full of tall trees, large pools and fresh grass, as well as a healthy diet in his lifelong new home. 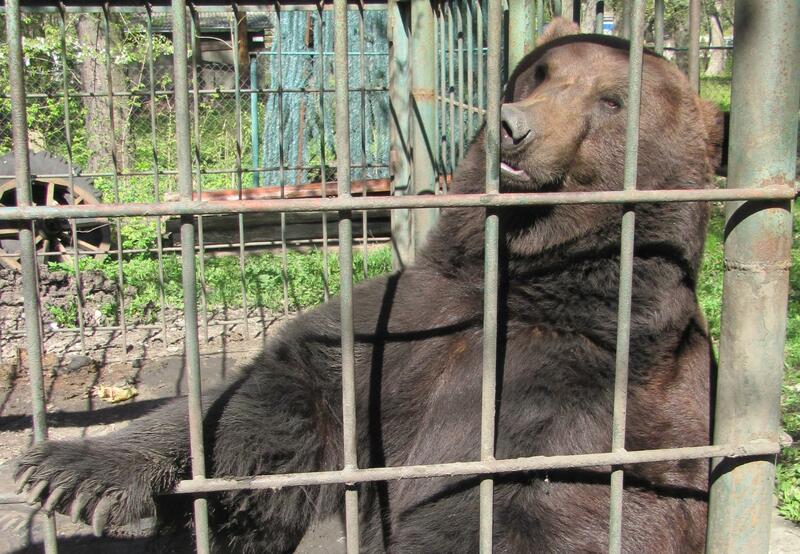 Unfortunately, not all bears in Ukraine share the same end to their story. Potap was born in a zoo in Ukraine in 2008. He spent his first year in a circus. After that, he lived a miserable existence on bare concrete in a tiny cage. The ceiling was so low that he could hardly stand upright, and was positioned near a restaurant in order to 'attract' visitors. But now Potap is safe! His transfer in July 2012 went very well despite his poor condition resulting from neglect. We are thrilled that today Potap is in the best possible hands and is being well taken care of by our animal caretakers in Domazhyr. FOUR PAWS has constructed a new bear reception centre near the Ukrainian city of Lviv. 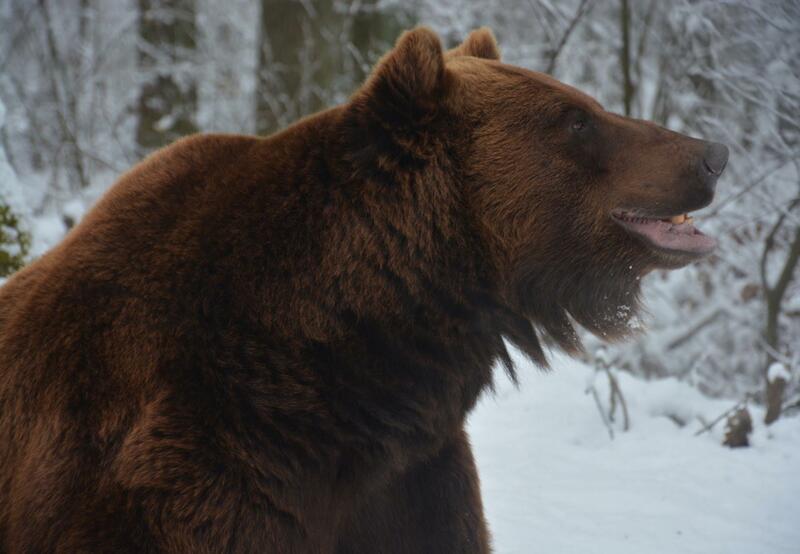 BEAR SANCTUARY Domazhyr currently covers roughly 19 acres and provides a species-appropriate home to six bears rescued from dreadful keeping conditions. Over the next few years, the sanctuary will be extended to cover twenty hectares, with room for thirty long-suffering bears. 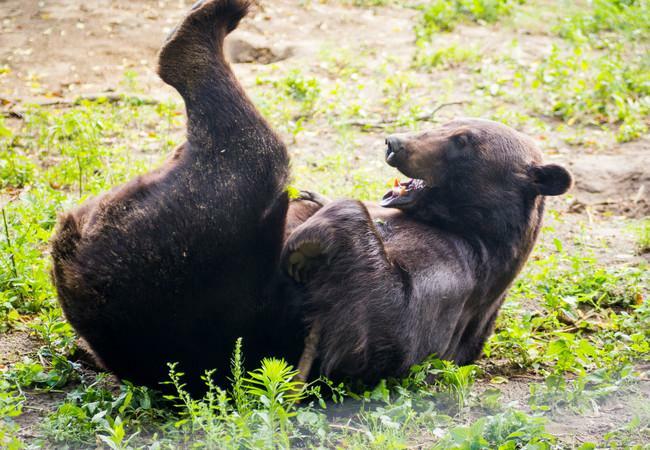 By constructing BEAR SANCTUARY Domazhyr, FOUR PAWS has created a sustainable home to accommodate rescued bears, and is thus assisting the Ukrainian government in its efforts to implement the ban on keeping bears for baiting. 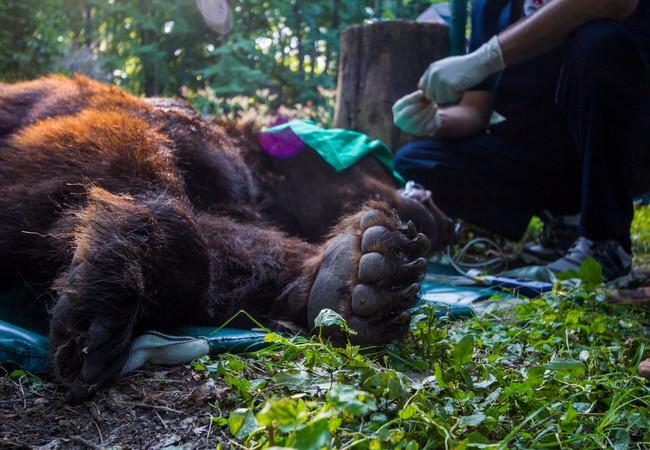 FOUR PAWS calls for the tightening of existing legislation to ensure that the keeping of brown bears on hunting stations, in restaurants and hotels is forbidden and that bears in Ukraine will no longer be exposed to suffering in the future.